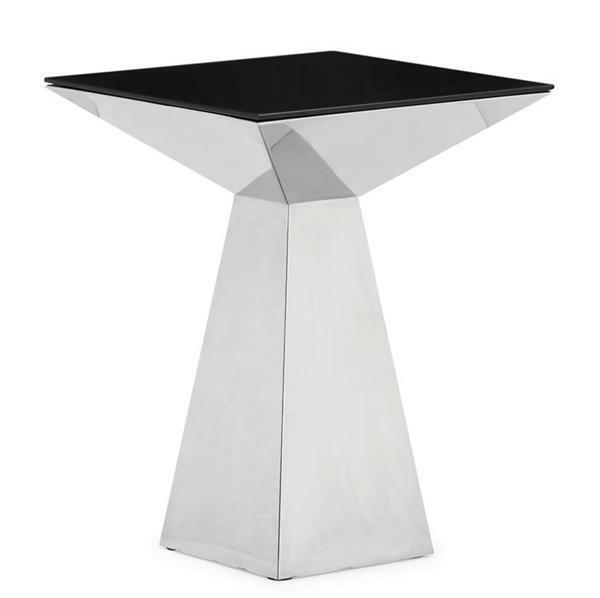 Tyrell side table is made with a polished stainless steel base and a painted tempered glass top. 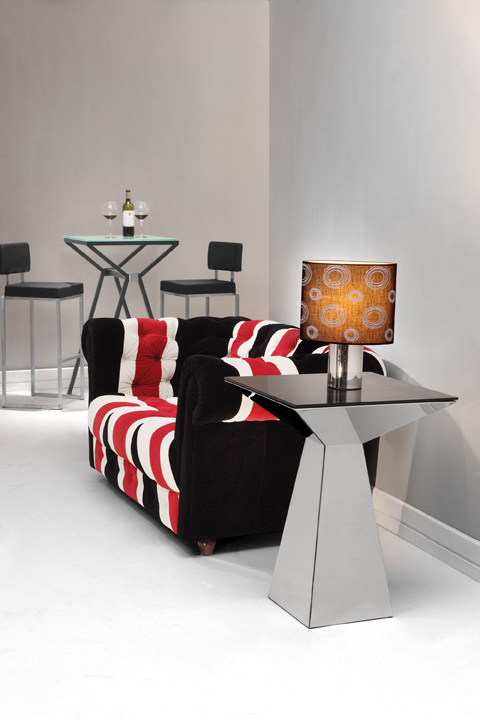 Add a distinctive shape and style to any room with the modern design of the Tyrell side table. This table makes a perfect accent to any contemporary decor and features an eye catching geometric design.